Check out mountain rental properties. We offer privately owned condos and homes for rent in Colorado’s premiere mountain destinations. Experience the best of the Rocky Mountains in your own fully-stocked vacation property. Our rentals provide worry-free accommodations for ski-in/ski-out lodging, breathtaking views, or your own private escape. Please select any of the locations below for details, and make sure to check back with us regularly for updates and special offers. Location Location Location. 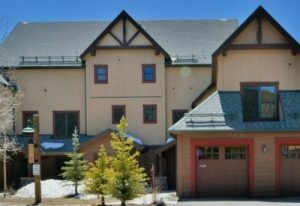 Beautiful two bedroom townhome with attached one car garage in River Run just steps from the gondola & the River Run Village (shops, restaurants, bars, entertainment). Spacious floor plan with large deck- plenty of room for entertaining!